Garage: Triple, Detached "(1) single detached, (1) triple detached (24 x 26), power, cement floor"
Size: 1,040 sq. 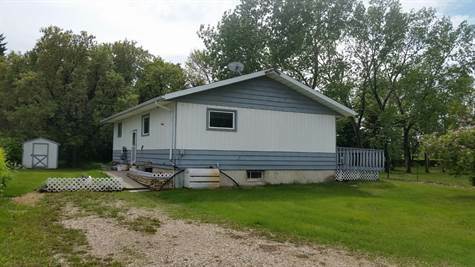 ft. "on 1 level"
This 6.475-acre acreage is just 1 mile North, 4 &1/2 miles East, then 1 & 1/2 miles North of Debden, Sk. Well is approximately 100 ft deep as per owner. The acreage is currently being subdivided from NW 8-53-7 W3, the process is nearly completed.